Shivangi (left) and Shivani Agarwal are twin sisters and post doctoral research associates at the Feinberg School of Medicine. The twin sisters have attended the same schools and worked in the same labs their entire lives. When twin sisters Shivani and Shivangi Agarwal were in high school in India, their physics teacher shared with them a quote attributed to physicist Max Planck that stays with them today. Shivani and Shivangi Agarwal are postdoctoral research associates at the Feinberg School of Medicine. They have worked together in the same labs, colleges and schools their whole lives and have grown together spiritually as well, joining the International Society for Krishna Consciousness, or Hare Krishna, movement together after relocating to the United States. Originally from Delhi, India, Shivani and Shivangi Agarwal have always had similar interests. Their parents instilled in them a love of science, Shivangi Agarwal said, and they have remained on the same academic and career trajectories since. “Our dad is a scientist and our mom is a biology teacher, so I guess you could say it’s in the genes,” Shivangi Agarwal said. The sisters said being twins also influenced their interest in science. Shivani Agarwal said classmates would frequently ask them questions when reading about twins in biology textbooks. Reading about other twins and how they matured furthered their interest in biology, she added. The sisters decided to continue their education together and earned bachelor’s and master’s degrees in biochemistry at Delhi University, as well as doctorates in biotechnology at Jawaharlal Nehru University in New Delhi before moving to the U.S. to pursue postdoctoral research. They said at this point, they intended to continue studying in the same fields, but it was chance that led them to the same labs and the same schools in the U.S., Shivangi Agarwal said. The twins first began their postdoctoral research careers at The Ohio State University in 2010, conducting research in the Department of Pathology before looking for further opportunities in Chicago. Shivangi Agarwal said they did not plan on working in the same labs, but by chance they were hired together again, this time at Northwestern. At Feinberg, Shivani and Shivangi Agarwal worked with Dr. Karla Satchell in the Department of Microbiology-Immunology for three years and five months beginning in 2012, Shivangi Agarwal said. During that time, they conducted research on bacterial lipid enzymes, which cause reactions within the fatty components of bacteria. Their interests complemented one another’s, Shivangi Agarwal said, allowing them to continue to work well as a team. Shivani Agarwal contacted Hyunjin Kim, a doctoral student at the University of Illinois at Chicago, to help run experiments to see how proteins interact with specific lipids. Kim, who worked predominantly with Shivani Agarwal, said she was a particularly hard worker. Now, the sisters work at the Department of Cell and Molecular Biology at Feinberg and have done so for the past 11 months. In addition to professional growth, the twins have also stayed aligned in their spiritual growth since arriving in the U.S. 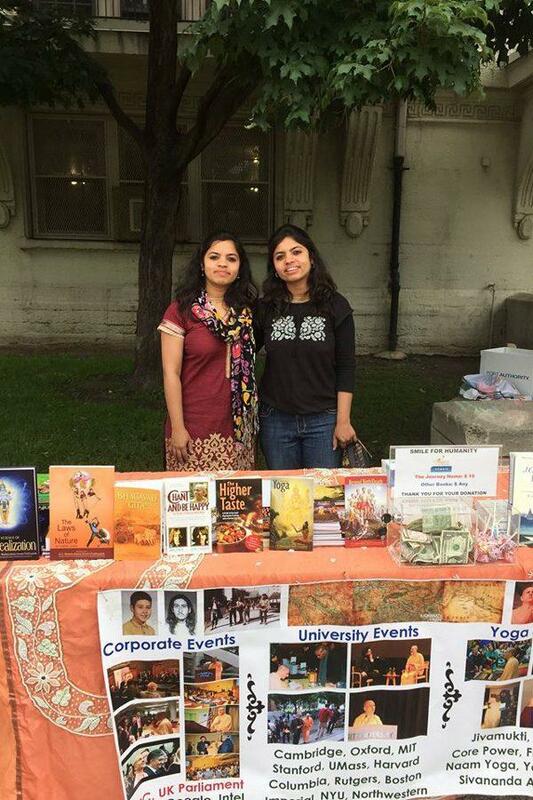 Though they became deeply involved in the Hare Krishna movement after coming to the U.S., Shivani Agarwal said belief in God has always been a strong part of their lives and motivated them in their study of science. Shivani Agarwal, who currently studies progeria, a rare genetic disorder in children, said her faith helps her understand why good and bad things happen to different people.